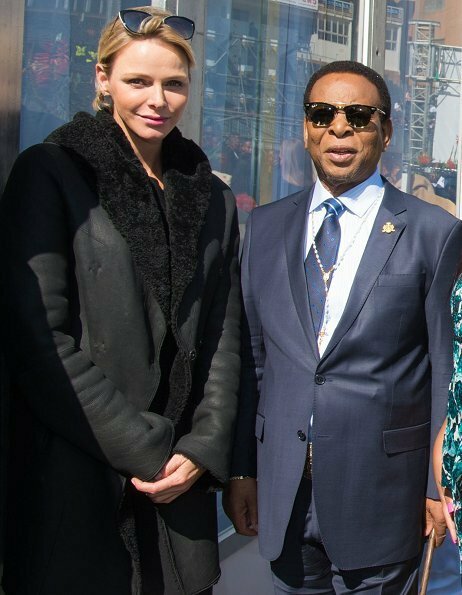 Princess Charlene of Monaco attended the 16th "Nelson Mandela Annual Lecture" which was held in Johannesburg. 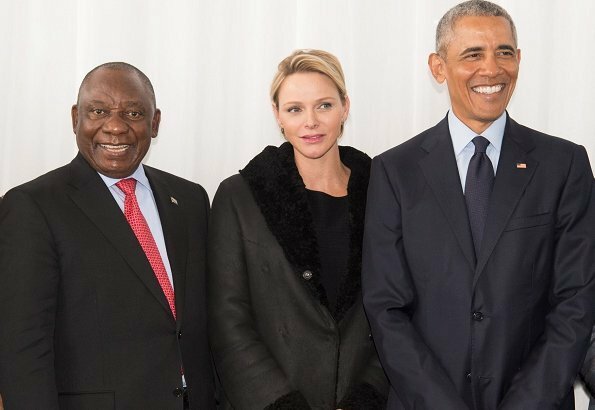 The 2018 Nelson Mandela Annual Lecture, in partnership with the Motsepe Foundation, was delivered by former US President Barack Obama in Johannesburg. 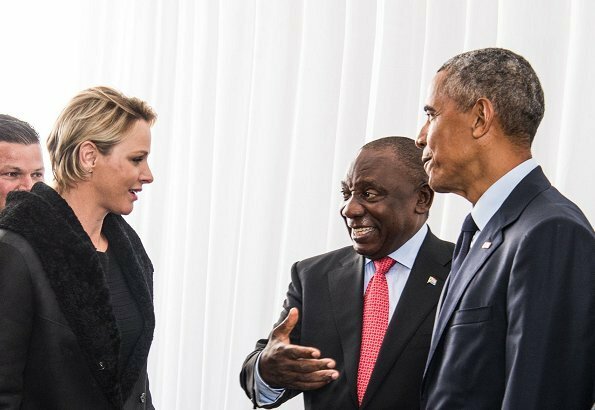 The lecture took place on 17 July 2018, a day before Nelson Mandela International Day 2018, and was held at the Bidvest Wanderers Stadium in Johannesburg. About 15 000 people attended. 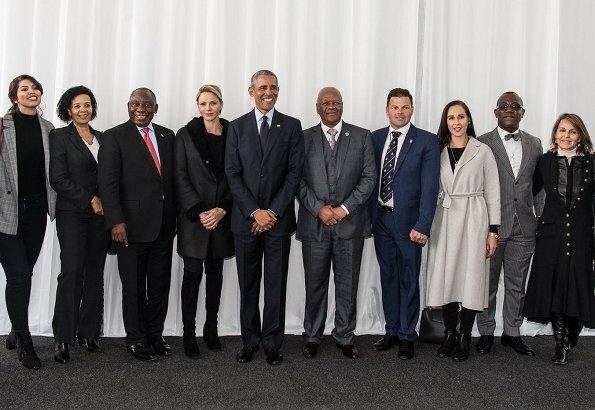 I am glad she is in SA .She sure is dressed warm, nice coat can do without the leggins. It was bitterly cold in Johannesburg yesterday. She looks wonderful. Really? I checked and it was + 13 C daytime, + 3 C lowest night 3 AM. Charlene looks over warm dressed to me for that temperature. But maybe you feel there you need such clothes. I suppose it depends on the contrast from where you've come. She's left a Mediterranean summer so maybe she was feeling the chill more than if she was there all the time? Charlene is so devoted to the country where she is born and grown up, lovely to see! charlene has added some weight, is she pregnant?? she looks very good!!! wat leuk weer in d,r eigen land !!!! How could you tell, she is all covered up in both of the last photos that I have seen of her. I can say that she looks a bit tired or out of sorts, not like her usual self. Pss Charlene is in SA for a little while now. 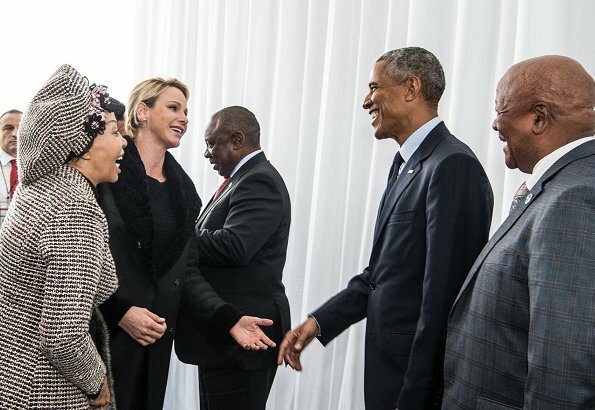 I know she loves SA.Must have been a nice 1oo year Celebration of Nelson Mandela.She admired him, he was a great men. But how is her husband he canceled some Engagement to being overworked? I hope he is doing well.? Princess Charlene of Monaco looks fabulous. If it is an official engagement, then both her attire and her hair is all wrong.If it is private, she just looks unkempt. A pity. Other ladies obviously took some trouble to look nice. Lo que tiene puesto en mi país de llama "gamulan"cuero de oveja con toda su lana bastante corta (se nota en el cuello) es muy abrigado pero acá se usa como tapado Sport!! I don't like this coat, very everyday clothing in my view.